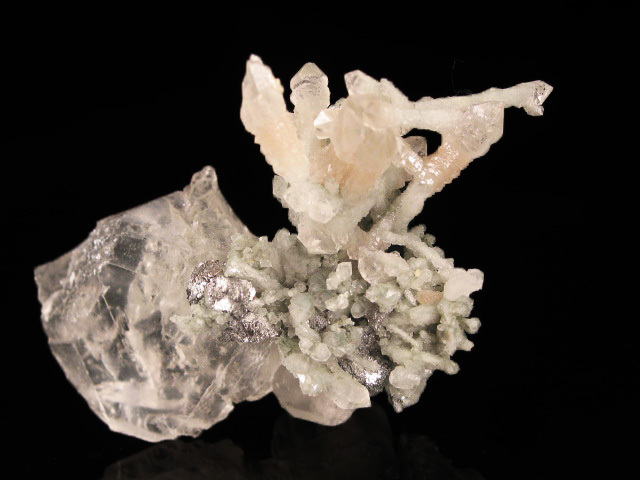 A large specimen, with a brownish (and terminated) quartz crystal rising from a group of colorless fluorite. This specimen would be about 3 or 4 times the price, except that there is some damage to the fluorite on the front left part of the specimen. The damage is more visible in person than in the picture.